"I try to apply what I’ve learnt about myself from Ayurvedic practitioners and Ayurvedic resorts I’ve visited to my day-to-day life, everything from practising Pranayama and regularly taking alkalising detox powders and psyllium husk to having more cooked foods that suit my system and not eating too late at night. Finally, opting for natural where possible, from amla hair shampoo to pure kohl eye liner (even though it smudges!)." 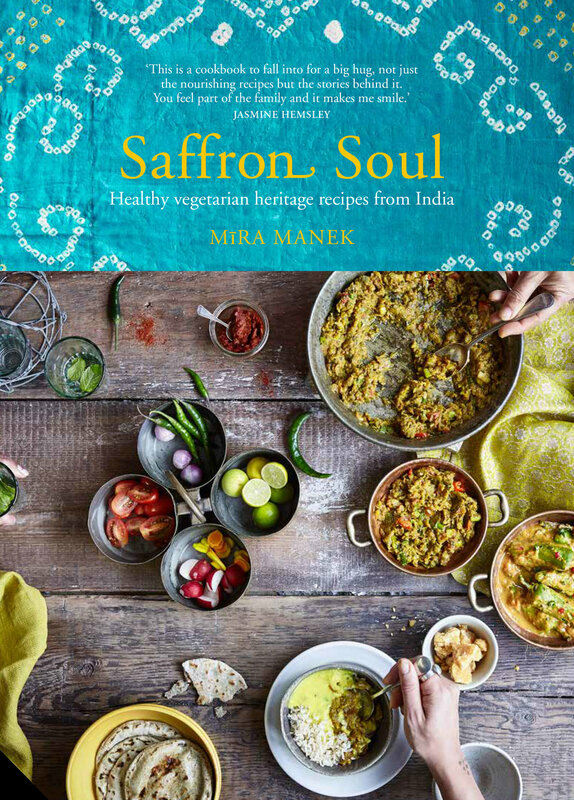 The jet-setting, yoga-practising, health-retreat-hosting author of cookbook Saffron Soul, Mira Manek is determined to give Indian food a total facelift, accenting the traditional recipes passed down from her mother and grandmother with a wholesome yet contemporary twist. Through dishes such as beetroot coconut curry, masala-grilled aubergine and saffron-lime cheesecake, Mira is all about making Indian spices and seasonings more accessible to all. In London, you’ll spot her delicious creations at the likes of Raw Press, Detox Kitchen and Holborn Dining Rooms. Mira has just launched her Soulful Retreats in 2018. Her first retreat is at the end of May with Lily Silverton in Oxfordshire and the second one is at the Raas Devigarh in Udaipur, Rajasthan in September. "Going for a couple of weeks of Ayurveda regularly, whether it’s once a year or once every two years, is great for prevention, longevity and cure, a boost of energy and life"
A balanced and more Sattvic way of living, and even though this isn’t always possible in its entirety, it is having the awareness that I’m striving to incorporate key practices in daily life, things that are good for mind, body and soul. Furthermore, eating foods that suit my body type and understanding my body. I try to apply what I’ve learnt about myself from Ayurvedic practitioners and Ayurvedic resorts I’ve visited to my day-to-day life, everything from practising Pranayama and regularly taking alkalising detox powders and psyllium husk to having more cooked foods that suit my system and not eating too late at night. Finally, opting for natural where possible, from amla hair shampoo to pure kohl eye liner (even though it smudges!). Ayurveda and rediscovering my own healthfulness and the home cooked Indian food that I grew up eating is in fact what inspired my career in food and what my book Saffron Soul is based on. I did my first Ayurvedic prescribed detox at a resort in Kerala when I was 18 and wanted to help my acne and lose weight. I did not, however, start practising it and incorporating it from that point – in fact, my eating habits have only changed and become more Ayurvedic in the last 5 years – but it did make me aware of the benefits of Ayurveda and I have regularly been to Ayurvedic doctors and resorts since then. My father actually introduced me to Ayurveda. While I was travelling in India for my gap year, he suggested spending a week at Somatheeram in Kerala – I absolutely loved it! We have since done a few family holidays at Ayurvedic resorts in both India and elsewhere. Ayurveda is not a quick fix, hence my acne wasn’t healed instantly – in fact I recall it getting slightly worse during my first week of Ayurveda. However, the blend of Ayurveda, lifestyle, my body changing as well as eating and living according to my digestive powers eventually resulted in much clearer skin. I do believe that a lot of our wellbeing and health is based on our digestive system, and eating accordingly as well as incorporating yogic breathing practices (Pranayama) in our daily life can truly transform everything. Going for a couple of weeks of Ayuerveda regularly, whether it’s once a year or once every two years, is great for prevention, longevity and cure, a boost of energy and life, a reminder of using natural, being simple and eating pure. Absolutely my everyday life! I have cumin or fennel water daily, the morning always starts with cinnamon, lemon and turmeric in hot water, I try to avoid wheat just because it really doesn’t suit me, I try to have psyllium husk in the evenings and of course the golden milk tonics! I also practise yoga a few times a week and have recently started loving Kundalini yoga. This doesn’t mean that I don’t have any sugar or that I don’t indulge, but I am far less tempted or inclined to do so now — I do absolutely love dark chocolate and coffee though! I’ve actually included the detox waters mentioned above in my book as something to sip on daily, mixing it up (boil water with cumin seeds, fennel seeds, even carom seeds). I also think Kapal Bhatti and Ujjayi breathing within Pranayama are brilliant for igniting the digestive fire and for detox as well as sitting in Vajrasana after meals if you need to and can (legs folded under you for as long as you can). I also naturally have a very flaky scalp and regularly applying coconut oil for an hour or even overnight has majorly helped me over the years.